Tybee Island Accommodations - Guide to Tybee Hotels, Resorts, Vacation Homes, Inns, Motels, Villas, Rental Properties, Condos, Apartments and Places to Stay on Tybee Island, GA.
Guide to Tybee Hotels & Motels, Vacation Homes, Inns, Villas, Rental Properties, Condos, Apartments and Places to Stay on Tybee Island, GA. 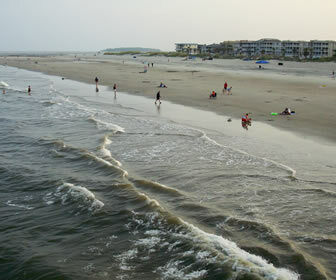 Accommodations on Tybee Island include unique hotels, vacation homes and rentals, condos, bed and breakfasts, campgrounds and RV parks and resorts - all located within walking distance to the beach. Most are small, independent properties that have all of the coastal Georgia lifestyle charm and style that has intrigued vacationers and locals alike for many years. Our award-winning hotel in Tybee Island, GA provides guests with the choice of either a two queen bed room or a spacious king bed room! Perfect for a group getaway to Tybee Island, our queen room with two queen beds can accommodate up to four guests comfortably. Our king room is ideal for a romantic getaway to our beautiful island, featuring a spacious seating area and a luxurious rain showerhead. Each of our recently renovated hotel rooms feature modern finishing's like hardwood floors, quartz bathroom countertops, and 49" HD TVs. Enjoy a complimentary light Continental breakfast each morning of your stay with us at the Admiral's Inn on Tybee Island. Our hotel in Tybee Island, GA features an outdoor swimming pool, and provides guests with complimentary Wi-Fi, free parking, and on-site laundry services. Our friendly staff are concierge certified to ensure you have the best possible experience during your stay at the Admiral's Inn on Tybee Island. A 1950s-era beach style inn that's been fully and uniquely renovated to offer guests like you a charming, unequaled experience where every room is special. Stay with us for easy access to everything that Tybee Island has to offer, including the Marine Science Center and Tybeee Island Peer, both just blocks away. The Tybee Island Light Station is close at hand and as well. Plus, the beach offers fun in the sun and is just 300 yards from our island hotel. Meet up with locals for some fishing, kayaking, biking or other pastimes that locals and visitors alike enjoy all year round. You can think of us as similar to both a bed and breakfast inn and a hotel, a truly unique experience. The Atlantis Inn was voted "Best Place to Stay" on Tybee Island in 2006 & 2007 by readers of Tybee Breeze Magazine. The DeSoto Beach Hotel is located only a few steps from Tybee Island's stunning coastline and less than 20 minutes from Historic downtown Savannah, Georgia. We strive to recreate for every guest that same experience that the old DeSoto Beach Club was to generations of travelers and Tybee Island, GA locals. The buildings and amenities at Tybee's only beachfront hotel may have been renewed and updated, but our soul remains the same. The magnificent old hotel, all red Spanish tile and palm-lined gardens, was a landmark not just for the Island, but also for the whole Southern coast. Back when it was built in 1939, genteel guests of the original Hotel DeSoto Beach Club had it all. Of course, luxury accommodations were different back then: the Beach Club's chief draws were air conditioning and bathrooms en suite amenities mostly unheard of in those days! Located approximately 100 yards from the beach. We provide our guests with the most comfortable accommodations possible at an affordable price and we are the only Pet Friendly hotel on Tybee Island. Enjoy luxurious, spacious rooms with a variety of features to accommodate your needs and budget. Dunes Inn & Suites features a total of 54 luxurious rooms. 33 in our Main building, and an additional 21 in the Dunes Annex. Beautifully landscaped, with plenty of private parking available. A short walk to the beach, and a variety of restaurants, gift shops, convenience stores, and night spots. WIFI available in rooms. 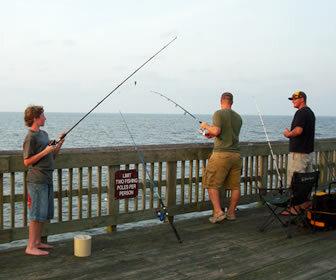 The Royal Palm Motel is Tybee Island's ideal budget family motel. We are conveniently located just 500 feet from Tybee Island's beach amongst restaurants, shopping, and island entertainment. Here you will enjoy clean and comfortable rooms and a quiet family atmosphere at economy rates. Amenities include a pool, cable TV, wi-fi, microwave, in-room coffee, refrigerators, air conditioning and free parking. The Sandcastle Inn is located within walking distance of many shops, quaint boutiques, galleries, superb restaurants, and lively entertainment. Come enjoy your island vacation with high quality accommodations at an affordable price. Come stay with the best in Tybee Island! All rooms feature Microwave and Refrigerator, Alarm Clock, Air Conditioner, Hair Dryer, Internet Access Wireless, Free Continental Breakfast and Cable TV. This casually modest hotel is set in a leafy residential area off Route 80 is a 5-minute walk from the serene Mid Beach, and 2 miles from the Tybee Island Light Station and Museum. Standard rooms feature free Wi-Fi and flat-screen TVs, as well as minifridges, microwaves and coffeemakers. All have sitting areas. Kids (1 per room) stay at no extra charge with an adult. Complimentary parking is provided and amenities include an outdoor pool. Relaxed beachfront hotel on a resort that offers outdoor pools, direct beach access and dining. Part of the Beachside Colony resort, this relaxed beachfront condo hotel is 2 miles from Tybee Island Light Station and Museum, and a mile from fishing at the Tybee Pier & Pavilion. The casual 2- or 3-bedroom condos feature kitchens, separate living rooms with dining areas, and balconies, plus washer/dryers and flat-screen TVs. Resort amenities include 3 outdoor pools, direct beach access and a restaurant/bar. Beachside Colony Resort is Tybee Island's only Oceanfront Resort… right on the beach. 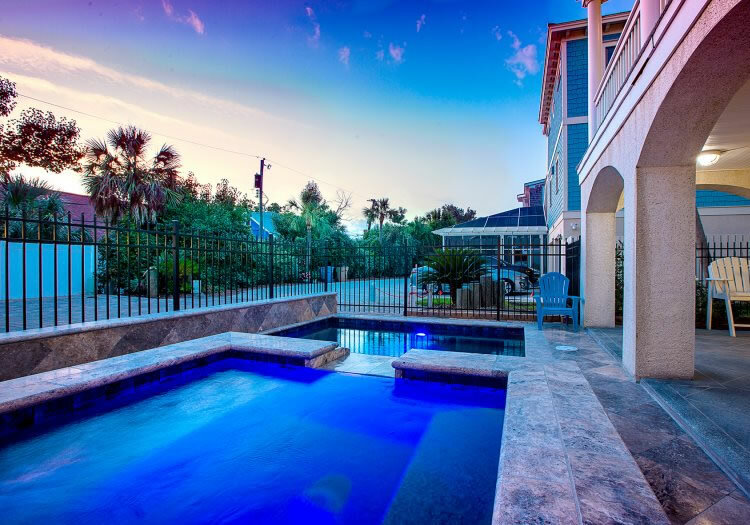 With an array of accommodations for families of all sizes, our Tybee Vacation Oceanfront rentals include amenities such as ocean-side dining, heated pool year-round with two other pools, elevators, fully equipped kitchens, direct beach access, and some of the most magnificent views on Tybee. The perfect lodging choice for recreation or business. Located directly on the beautiful Atlantic Ocean, the resort condominiums offer luxury accommodations at reasonable prices. 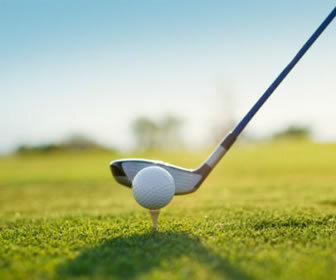 The Colony Resort is also an extremely attractive choice for short term budget vacations. Spacious rooms and a friendly staff will make your stay pleasant and more enjoyable. Make your reservations today for this summer! At Beachside Colony we specialize in investment properties through our onsite sales, rental and property management. Amenities include a restaurant on site, pools, play area and of course it is an oceanfront property. Modern villas with kitchens and ocean-view balconies, plus a pool, a gym, a picnic area and a game room. 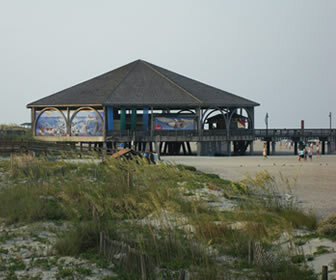 Located alongside the Pier and Pavilion on beautiful Tybee Island, Georgia. Our Condos are all spacious and well appointed and all have their own Oceanside balcony. Our Condos offer the comforts of home; two bedrooms, two bathrooms, a full kitchen and washer dryer. Quaint Victorian B&B with period features, plus a Southern-style breakfast and an outdoor pool. This bed and breakfast features an outdoor swimming pool, daily breakfast, cable TV and free Wi-Fi are also provided. Select suites include a small refrigerator.Conveniently located just a 2-minute walk from the beach. A garden, gift shop, and business center are available at the Tybee Island Surf Song Bed and Breakfast. The property provides free parking.